The day after arranging a recent photo shoot, I got one of those emails that reporters dread. 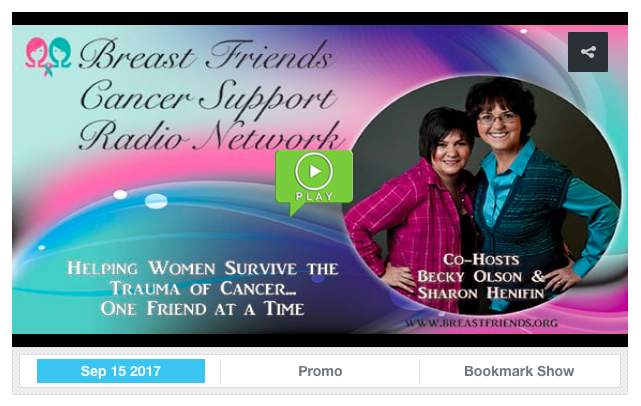 Breast Friends Cancer Support Radio "Healing the Inner Scars of Breast Cancer"
After the whirlwind of a breast cancer diagnosis and its subsequent treatments, long after the physical wounds have mended, the inner scars can remain raw. 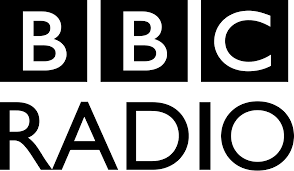 Rebecca Pine will delve with us into the inner healing process. We will explore body image, self-acceptance, and reclaiming wholeness. Practical ways of cultivating inner awareness, welcoming vulnerability, and releasing difficult emotions will be shared. 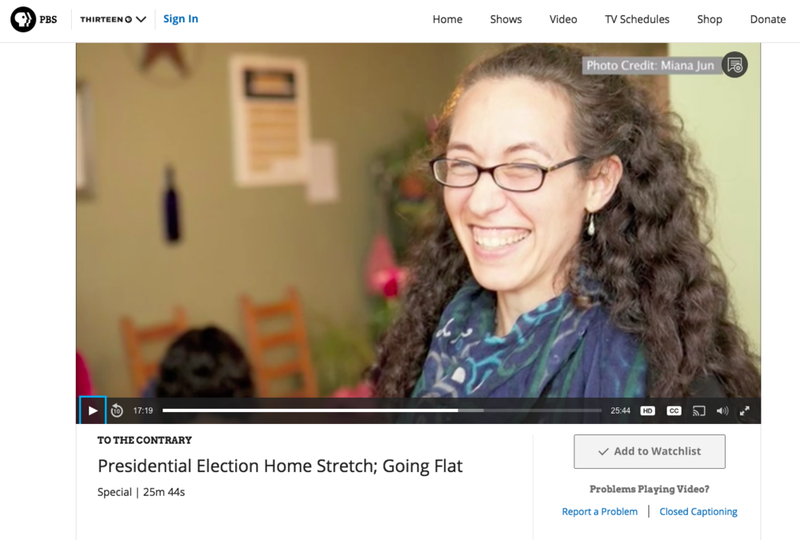 Rebecca was diagnosed with breast cancer in 2009, and has a unique approach to healing through mindfulness, nature, and creative expression. A selection of their written and photographic work, including a series of pigment prints were featured at SoHo Photo Gallery. Miana, Rebecca, and Dale presented two Artist's Talks and offered a Survivor Workshop, bringing a "taste of the sea" to the city. 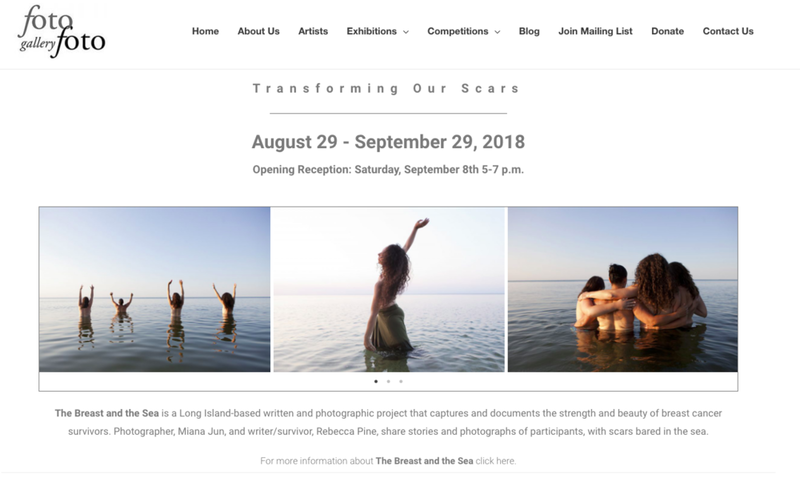 For the past month, Huntington’s FotoFoto gallery has housed “The Breast and The Sea,” a Long Island-based project aimed at empowering those impacted by breast cancer through transformative workshops, photography and writing. 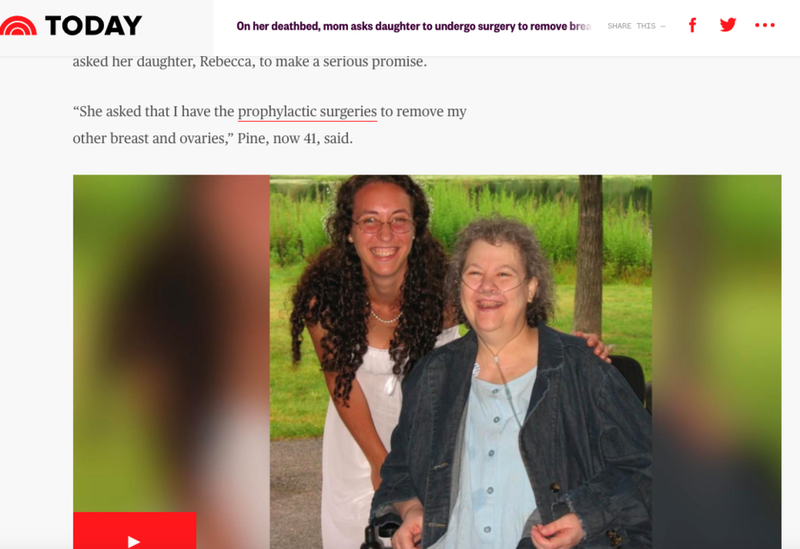 The Daily Record "Morristown Native Helping with The Breast and the Sea"
When going through the phases of breast cancer, Rebecca Pine found that there was a wide variety of medical information but not a lot of first-hand accounts from others who went through the same things. CBS Sunday Morning with Erin Moriarity of 48 Hours: Some women who have lost breasts to cancer have chosen to deal with their loss in a fashion that is sparking conversations, and controversy. They call it "going flat." Instead of reconstructing their bodies with surgical implants, they are embracing their scars, and even baring them in defiance of the disease. The Breast and the Sea (www.thebreastandthesea.com) is a written and photographic project capturing the strength and beauty of breast cancer survivors and their relationship with water. Participants experience the transformative potential of combining community connection amongst survivors with personal reflection. 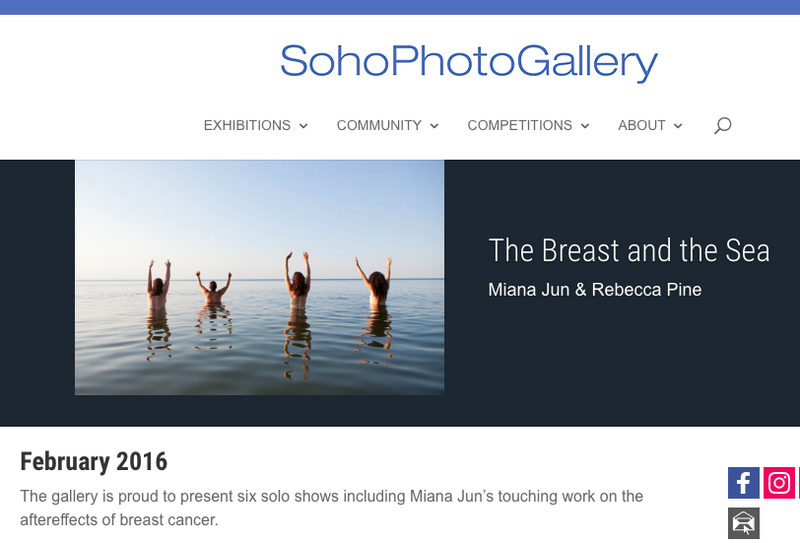 Photographer, Miana Jun, and Author/survivor, Rebecca Pine, share stories and photographs of participants, with scars bared in the sea. The Breast and the Sea, an expression of the many voices of breast cancer, helps to normalize the changing bodies of those who have been touched by this disease. Eight-year breast cancer survivor and author, Rebecca Pine, is a loving mother of four who has been writing passionately for many years. 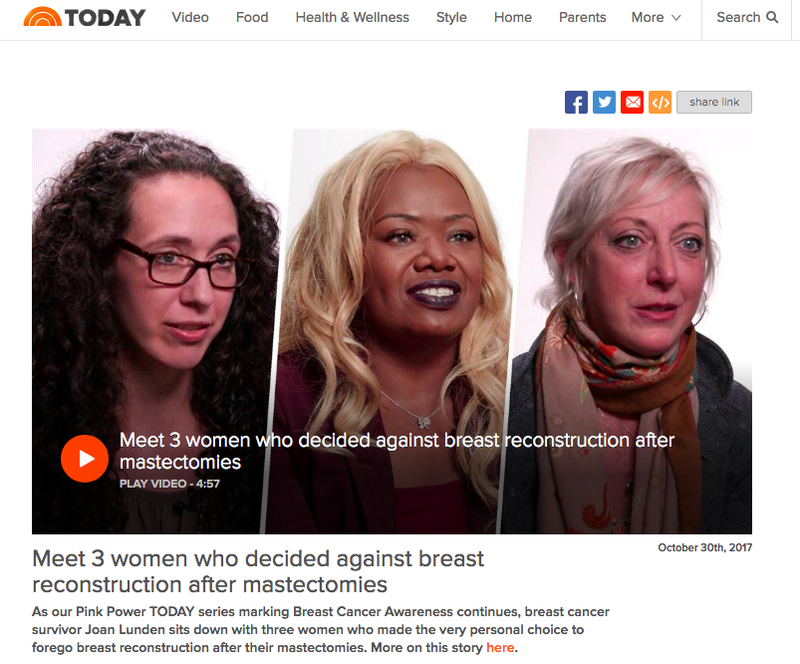 While going through breast cancer, Rebecca had a difficult time finding stories and images of women who overcame the same challenges she faced and were not only surviving, but thriving. 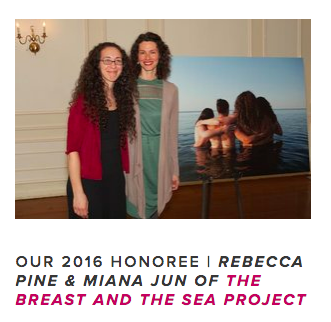 She began The Breast and the Sea to help empower others faced with breast cancer. Co-collaborator, Miana Jun is a photographer based in Bucks County, PA and Brooklyn, NY. Her wedding, dance and food photography has been published in numerous publications and blogs. 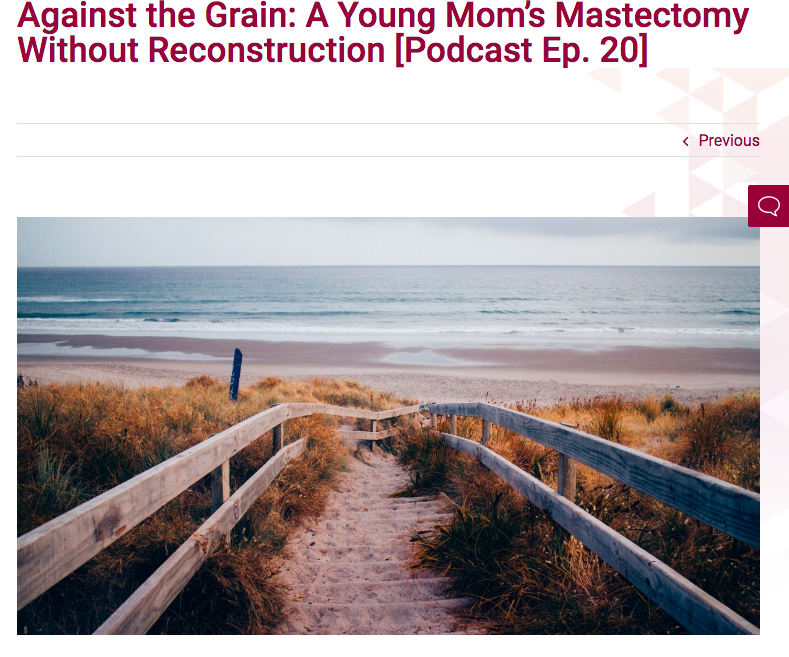 Participating as a photographer in The Breast and the Sea project comes from her hope and wish to both empower women and help them find healing through the photographic process.